Loved by his family and friends, Earl Borr added much to the lives of others. He was devoted to his family and worked hard to provide a good life for them. Earl lived with a quiet faith; while reserved in many respects, he was a friend of many and dedicated in all he said and did. A generous and benevolent man, Earl’s personable and gracious nature will be deeply missed and treasured. 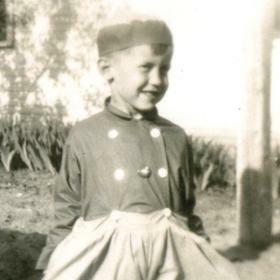 Earl’s story began on Thanksgiving Day, Thursday, November 25, 1926, in the lakefront city of Holland, Michigan. The son of Matthew and Cornelia (Van Duine) Borr, Earl was the fourth of seven children in his household including his sisters, Mildred, Dorothy, Bernice, Marijane, Donna, and Carolyn. Affectionately referred to as “Bud” by his family and friends, he remained close to his sisters throughout their lives. To support their household, Earl’s father owned Borr’s Bootery, a local shoe store in Holland while his mother remained at home as a homemaker. With the Great Depression creating financial havoc from coast to coast, young Earl and his family were no exception. Even so, Earl enjoyed a childhood typical of his generation. He attended church, Holland Schools, and played the trombone in the junior high band. At Holland High School, he ran track (placing at the state finals) and played basketball as captain of the team. In 1944, immediately upon graduating from Holland High School, Earl didn’t hesitate to serve his country in WWII via enlisting in the U.S. Navy. He served on the LSM 378 (the Liberty Belle) in the Pacific through the end of the war and maintained contact with shipmates well after. 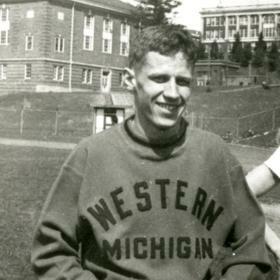 Earl went on to attend Western Michigan University on the GI Bill, earning his Bachelor of Science in Education and later achieving his Master of Arts in Education, also at WMU. While attending college Earl co-captained the track team. It was also the place where he came to know his one and only, Betty. Earl spotted Betty Varner walking on campus and knew immediately she was the one for him. 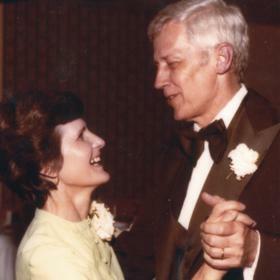 She also attended WMU and from the moment he met Betty, Earl knew he loved her. The two dated for a time and were happily married on August 21, 1948 in Tekonsha, Michigan. After graduating in 1950 they moved to Marine City on the east side of the state where Earl took a job as a math teacher and the school’s basketball coach. They remained there for six years during which time Earl’s 1954 team capped their season as state finalists in the Class C division. He was beloved by his students and players, remaining in touch with them throughout his lifetime. Earl was later inducted (1991) into the Marine City High School Hall of Fame. It was also during this time on the east side of the state when Earl and Betty began their family. In 1957 they moved to Portage, Michigan when Earl took a teaching position at University High in Kalamazoo (1957 – 1966), then moved onto Western Michigan University as the Director of Teacher Certification from 1966 until retiring in 1984. Together they raised their four children: Stephen, Sandra, Jeff, and Tom. The year 1966 also found them building their dream home where numerous and treasured family memories were made and enjoyed, including their annual family getaway north to Pine Lake. As a father, Earl lived by way of loving example and actively followed his children’s interests. Earl continued his love for sports by officiating basketball and track. In his free time he enjoyed golfing, working around the house and yard, putting together jigsaw puzzles, and watching University of Michigan sports as an avid fan. Most of all, he loved nothing more than following the exploits of his children and grandchildren. Earl was proud of his children and thrilled to have five grandchildren, Matthew, Stephen, Justin, Sarah, and Zachary, followed by two great-grandchildren, Madeline and Draven. He loved spending time with his family, especially during the holidays and other special occasions. As their children became adults, Earl and Betty were able to spend time traveling. On their 30th wedding anniversary they enjoyed a once-in-a-lifetime vacation in Hawaii. Occasionally, through the years, they ventured to Florida and took annual visits to see their son, Tom, in Seattle. 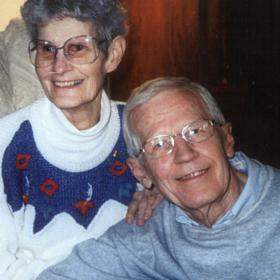 Earl lovingly devoted all his time and energy to caring for Betty through the final stages of her life. After 54 years of marriage, when he lost his beloved Betty in death it was no less a very difficult time for him. With the love and support from his family and good friends, Earl pressed on in faith.  He began serving as a patient coach at the West Michigan Cancer Center and found it to be a deeply rewarding phase of his life. He was a member of Bethany Reformed Church since moving to Portage in 1957; over the years Earl served as a Deacon then later an Elder. 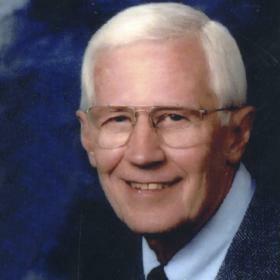 Earl selflessly gave of his time and talents throughout his many church involvements. Earl maintained relationships with the many people he met throughout life, including those he encountered through involvement in Marine City, at University High, Western Michigan University, as well as those whom he’d befriended through his children’s lives. Just as he was a fine example for his children to live by, so too was Earl a meaningful mentor in the lives of so many youth he was privileged to know. Many of them went on to call him “Coach” or “Grandpa Borr”. Earl was multifaceted; as quiet and reserved as he was social, his dry sense of humor kept others smiling. A friend to many, after retiring he’d enjoy visiting over coffee or a round of golf. He kept busy and was never one to sit idly. Known simply as a good guy and a good friend, Earl was easy to talk to. He had a way with people. With his kind, giving, and compassionate spirit others were naturally drawn to him. Earl’s light clearly shone bright, especially whenever his children took him out for breakfast. They’d undoubtedly run into people from the Cancer Center who’d gush about Earl; it was clear to see how revered he was by others. He attended many class reunions in Marine City where people commended Earl for how he had so positively impacted their lives. He remained humble and gracious amidst these accolades like only Earl could. The memories Earl leaves behind will remain a treasure in the hearts of many. Earl Borr, of Portage, MI passed away on Sunday, November 5, 2017 at the age of 90. Left to cherish Earl’s memory are his children: Stephen (Libby) Borr, Sandra Darwin, Jeff Borr, and Tom Borr; grandchildren: Matthew Borr, Stephen (Jordan) Borr, Justin (Katie) Borr, Sarah Darwin, and Zachary Darwin; great-grandchildren: Madeline and Draven; and sister, Carolyn (Ron) Simpson. Earl was preceded in death by his wife of 54 years, Betty; and sisters: Mildred, Dorothy, Bernice, Marijane, and Donna. Earl’s family will receive friends on Friday, November 17, 2017 from 4-7pm at Life Story Funeral Home, 5975 Lovers Lane, Portage (269-344-5600). A funeral service will be held on Saturday, November 18, 2017, 10:30am at Bethany Reformed Church (1833 S. Burdick St, Kalamazoo). Burial will be at Riverside Cemetery in Tekonsha, MI. 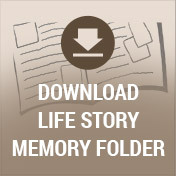 Please visit Earl’s webpage at www.lifestorynet.com where you can share a favorite memory or photo and sign his online guest book. Those who wish may make a contribution to the American Cancer Society or to Susan G. Komen for the Cure.